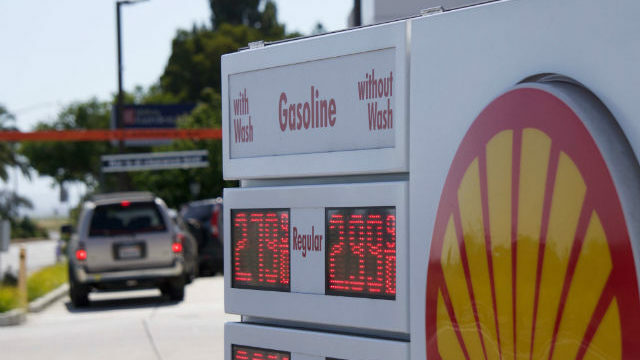 The California Democratic Party executive board voted Sunday to oppose the measure on the November ballot to repeal last year’s gasoline tax increase while supporting the proposition to overturn a law limiting the use of rent control. The board also voted to oppose Proposition 9, which would divide California into three states, Proposition 5, which would change requirements for certain property owners to transfer their property tax base to replacement property, and Proposition 11, that would require private-sector emergency ambulance employees to remain on call during work breaks. Carl DeMaio, the author of the gas tax repeal, told City News Service, he was “disappointed that the California Democratic Party is turning its back on working families” by opposing the measure that would repeal Senate Bill 1, the 2017 law increasing the gas tax and vehicle registration fee to fund highway and street repairs and other transportation projects. But Michael Quigley, executive director of the California Alliance for Jobs, which advocates advocates responsible investments in public infrastructure, praised the state party’s action. “The California Democratic Party has joined a coalition including the California Professional Firefighters, California Association of Highway Patrolmen and more than 200 organizations dedicated to defeating this partisan attack on bridge and road safety,” Quigley said. Passage of the gas tax repeal, which is Proposition 6, would also require future gasoline tax and vehicle registration fee increases to be approved by voters. The rent control initiative, Proposition 10, would repeal the Costa-Hawkins Rental Housing Act, a 1995 law that bans rent control on apartment buildings, condominiums and houses built after 1995 and froze local rent control laws. The 1995 law also allows landlords to raise rents by an unlimited amount when a unit becomes vacant.